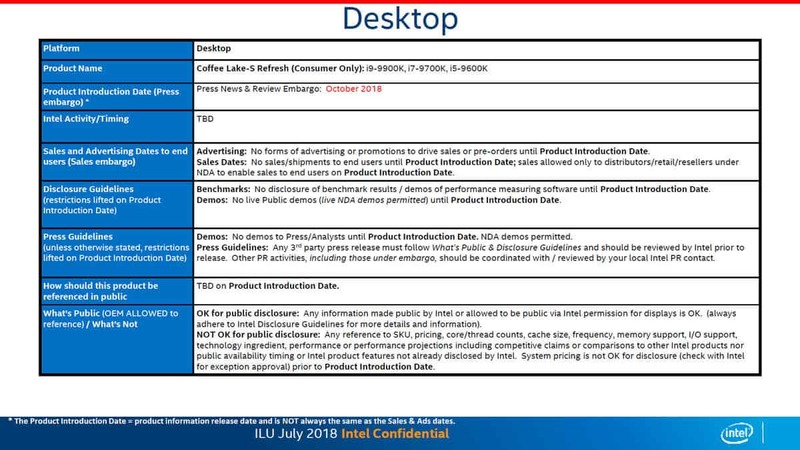 We recently got a roadmap that showed that 9th generation Intel Coffee Lake S 8 Core CPUs, namely the Intel Core i9-9900K, i7-9700K and i5-9600K would be coming out before the end of the year but now we have got another roadmap that shows that the Intel Coffee Lake S chips could be coming out in October. If this is indeed true then the chips will be coming out sooner than expected and that is what Intel needs right now, to bring something to market as soon as possible. 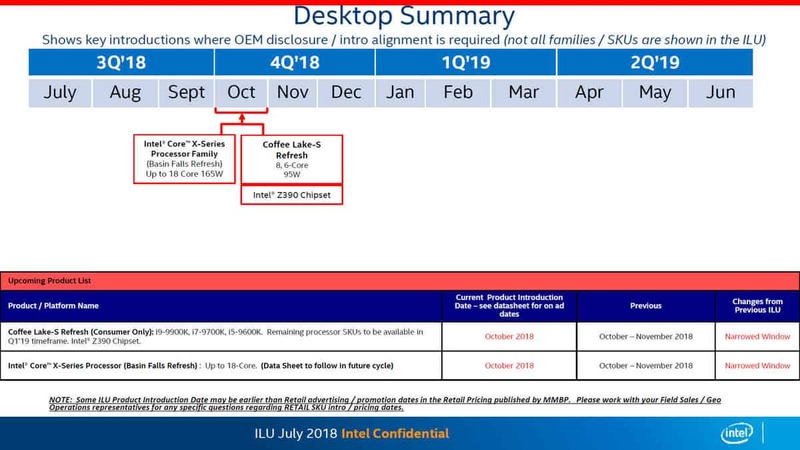 That information was supposedly from a leaked Intel roadmap and so is this information but this one seems to be different than the previous one which is a bit fishy. According to the new roadmap the Core-X series (Basin Falls Refresh) will also launch in October, alongside the 9th generation Intel Coffee Lake S 8 Core CPUs. Core-X series will feature a higher core count and will be aimed at enthusiasts and workstations. 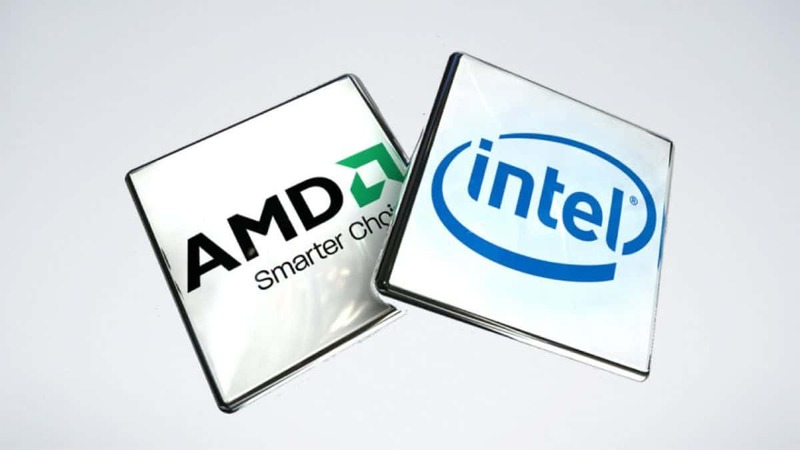 It will be interesting to see how many cores Intel will bring to the table. 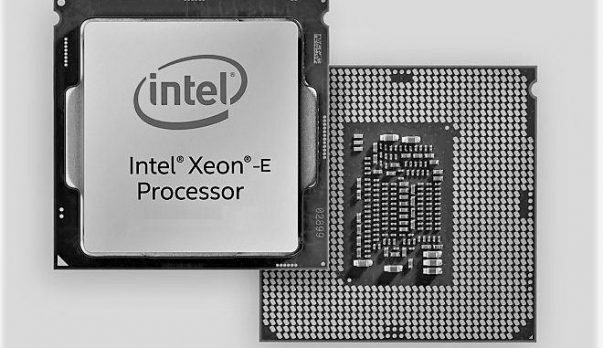 While the 9th generation Intel Coffee Lake S 8 Core CPUs are coming out, supposedly before the end of the year, some would say that it is too late. AMD Ryzen 7 has been delivering 8 cores and 16 threads for more than a year now. On the other hand, we know that these chips will be based on the same 14nm process that we have had around for a while now. Keeping in mind that AMD chips are based on the 12nm process, the upcoming Intel Coffee Lake S 8 Core CPUs don’t seem too appealing. That is what we know right now, things could be different and Intel might be able to deliver some massive performance gains. From what we know, the top of the line Intel Coffee Lake S 8 Core CPU will be able to run at 5 GHz out of the box. while this is impressive, it is important to note that this boost clock does not apply to all cores. You will only be able to run 2 cores at 5 GHz. All 8 cores will be able to boost to 4.7 GHz, which is pretty impressive for an 8 core CPU. For more information regarding the matter, stay tuned to SegmentNext. Let us know what you think about the upcoming Intel Coffee Lake S 8 Core CPUs and whether or not this is something that you are interested in.